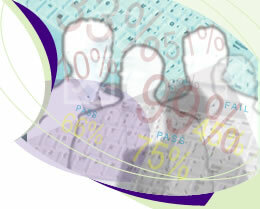 Using Embrace Assessments anyone in your organisation can quickly create web based assessments of staff. Assessments can be distributed via the internet or via email. As assessments are completed they are automatically marked. Enabling your organisation to quickly determine, existing staff or potential new hires' abilities, product knowledge and understanding of your business. Web enable tests for potential new hires. Create standard tests to validate experience and knowledge relevant to your business. Keep track of your staff on an ongoing basis. Do they need a refresher course? Is one member of staff persistently scoring low on assessments? Is your in house training effective? As your companies products and services expand and improve, how do you know how well your staff are keeping up to date with the latest developments. Each time a new product is launched or improved you can send out a new product update test! Most companies procedures and policies change over time. Your company will have communicated these changes but how do you know if these changes have been read or understood? Using Embrace Assessments you can quickly test understanding and find where you have gaps in knowledge and understanding. Has your company outsourced any of its activities? Using Embrace Assessment you can send out your product tests and assessments to your outsourcers staff and monitor their abilities. Click to try a demo assessment.